House hunting should be an exciting time where you tour different homes and examine different floor plans to find the one that will best suit your lifestyle and budget. However, if you dive into the process with little preparation, you may find yourself in a whirlwind of too big, too small, not enough rooms, or just not your fit. Set yourself up for success by asking just a few questions about your current and future custom home needs. How Much is your Budget? Is the home you’re seeking a second home in Vancouver WA where you will reside part-time? Are you looking for a retirement home where you will live full-time? Are you selling your current home before moving into your new home? Each one of these questions will affect your current financial situation and help properly establish a budget to allow you a guideline for finding homes within the parameters in which you are comfortable. When establishing a price range, you should also take into consideration the additional fees that may be associated with the new home. You will also want to decide whether you will be paying cash or financing. Often times meeting with a lender to discuss options before establishing a budget is important. Both options will require some discussion and preparation to make the best decision for you and your family, as does establishing how far you are willing to tweak the price range to incorporate everything you want in a home. What features do you like in your current home? Determining whether you are happy in your current home will aid in discovering the things you like or dislike about the size of a home. Is your current home too big, too small, or just right? Are there rooms in your current home that you do not utilize and don’t plan on utilizing? Are there rooms in your home that you cannot live without? Consider the rooms you keep for when family visits or rooms that you need to host dinner parties or entertain guests. What do you need in outdoor spaces or do you have a location with a view? Speaking of outdoor spaces, these questions should also extend to the outdoor spaces of your home. Is your backyard too big or your front yard too small? Before deciding on a home, you should think about how important outdoor living is to your Pacific Northwest lifestyle and what features you most like to utilize when you’re lounging outside. If you spend a significant amount of time outside, you’ll love a home with a spacious outdoor space or even a courtyard.. Assessing the spaces you use and don’t use in your current home will provide a list of the must-have spaces for your new home. When building a custom home in Vancouver WA, you will always want to consider what changes may be heading your way. Do you plan on having any/more children that will require you to add rooms to your floor plan? Will you be retiring and discovering a new hobby that will require additional space, such as a craft room? Maybe you’ll bide your time buying classic cars for which you’ll need extra garage space. Maybe you’ll decide to work from home and will be in need of a home office. You may even realize that certain areas of the home will be unnecessary in the near future and you can save money by eliminating them now. Try to plan for the future to avoid overspending now or setting yourself up to spend more if you decide this home is too small. Many of our homes feature ADA options including larger doors, roll in showers etc. When choosing a floorplan remember with Copper Creek Homes we can always customize options to meet your needs visit or call us today! Portlands housing streak continues to be fastest growth in the US. The streak continued in April: Yet again, home values in the Portland region grew faster than in any of the other 20 major metro areas measured by the monthly Standard & Poor’s Case-Shiller home price index, released Tuesday. It was the seventh straight month Portland topped the list. 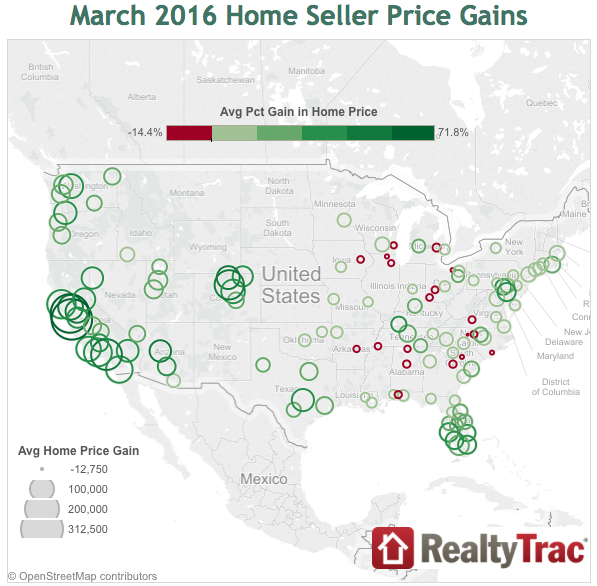 Local home values posted a 12.3 percent year-over-year increase in April, the highest gains among the 20 cities by a fairly wide margin. Seattle’s 10.7 percent increase over the same period represented the only other double-digit increase. The Portland market also posted 12.3 percent year-over-year gains in March. Homes across the country, meanwhile, saw an annual increase in value of 5 percent in April, down from 5.1 percent in March, the report found. Prices in Portland have been pushed upward, in part, by extremely low inventory. The most recent report from the Regional Multiple Listing Services found that inventory in the area totaled 1.4 months in May. The figure estimates how long it would take for all current homes on the market to sell at the current pace. Six months indicates a balanced market. What’s more, a new report last week from Zillow found that Portland saw the nation’s largest decrease in the inventory of bottom-tier homes among the 35 largest metro areas. The Portland market lost 37.6 percent of its inventory of middle-tier homes (homes worth between $279,200 and $420,900) and 39.3 percent of its bottom-tier homes (homes worth less than $279,200) – not good news for first-time homebuyers. “Home values for the least-expensive homes are growing twice as quickly as they are for the most-expensive homes, and the gap is widening,” Gudell said. “Given last week’s Brexit news and the ensuing market reaction, it doesn’t look like interest rates are going to rise meaningfully any time soon, which means it will remain cheap to finance a home for those that can afford one. In honor of Earth Day, WalletHub determined the greenest states in the nation, looking at everything from air and water quality to energy consumption. In some states, green behaviors aren’t just practiced on Earth Day–some states focus on constructing LEED-certified buildings and keeping their air and water quality high year round. Conserving resources has become a priority of many builders, as climate change, droughts, and fuel prices affect both the environment and economic conditions of some major home building markets. Texas was plagued by plummeting oil prices and the state of California found itself facing a hardship regarding how to conserve water as things dried up in an historic drought. Builders responded to the environmental challenges with drought-busting homes, like these four here, and ways to apply energy-saving techniques and products to home building. Some states have been more successful than others when it comes to conserving the environment. WalletHub, a personal finance site, ranked all 50 states based on 17 key factors to find which states in the nation are the most “green” and committed to the environment. The site examined metrics such as air, water, and soil quality, number of LEED-certified buildings per capita, energy consumption and its percentage that comes from renewable sources, gasoline consumption, and percentage of waste including trash and recycling. 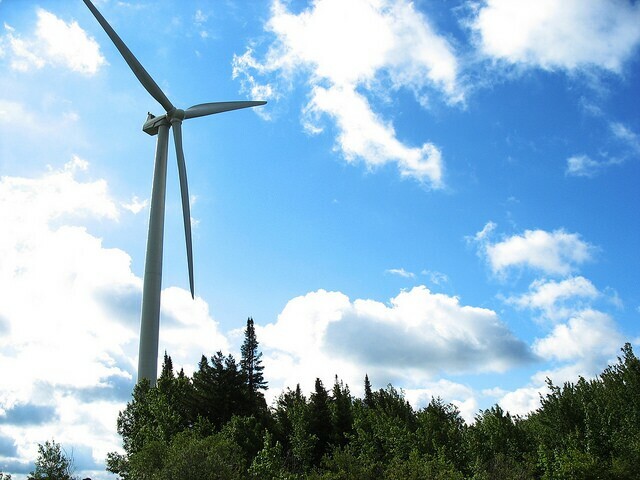 Overall, Vermont was considered the most green state for its high air quality and minimal solid waste per capita. Washington, Massachusetts, Oregon, and Minnesota followed Vermont as the top five most green states. Wyoming was the least green state, followed by North Dakota, Montana, West Virginia, and Nebraska in spots 46-49. Washington and Minnesota had some of the highest water and soil quality among states in the country, compared to states like Arizona and New Mexico which fell in the last two spots for soil quality with soil that was 25 times worse than that of the best state, Michigan. Meanwhile, Hawaii and New York ranked poorly for water quality (click here to see BUILDER’s map of the best and worst regions for water conservation). However, Hawaii redeemed itself when it came to construction—the state has the second highest number of LEED-certified buildings per capita behind New Mexico, while Nebraska and Iowa were the two states with the least. Maine, Oregon, South Dakota, Washington, and Montana have the highest percentage of energy consumption that comes from renewable energy sources, with Maine’s share being 17 times higher than the state of Delaware’s, which has the lowest percentage of energy consumption from renewable energy sources in the country. Rhode Island and New York are the two states with the lowest energy consumption per capita, compared to Wyoming and North Dakota, the two least green states over all, which use the most energy in the country. Maine took the number one spot again for having the highest percentage of recycled municipal waste, which is 48 times more than that of Louisiana, which held the bottom seat in the ranking. It’s spring 2016 and with New Home building in full production it is exciting to see some new creations on the horizon. 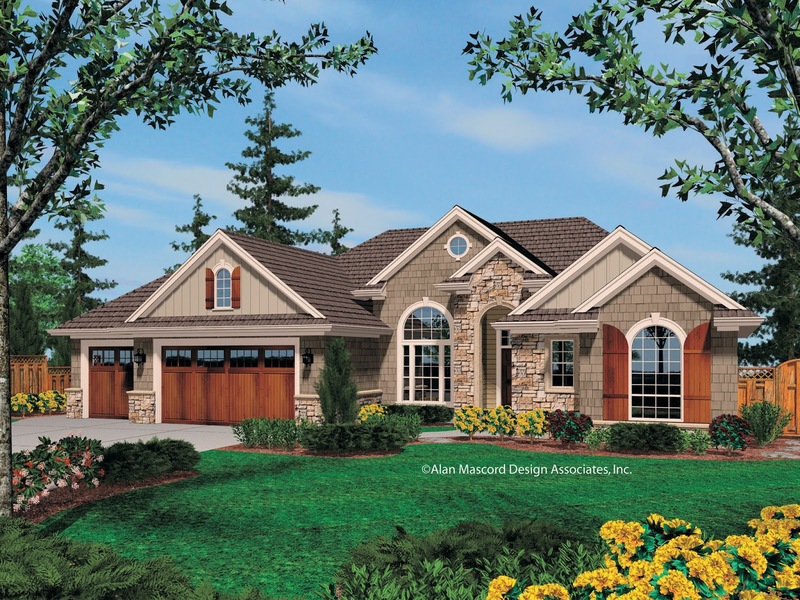 Each Copper Creek Homes stand out from the crowd. They are one-of-a-kind, upscale creations that come with luxury upgrades and unique architectural design.In addition to flexibility in home design and architecture, our buyers typically choose their ideal location and environment. As a result, custom home design often incorporates elements of the local landscape, whether that is a view of the Columbia river, Mt Hood, the Washougal River, or the distinct colors and plants of a specific landscape. While production builders build communities by restricting design to a group of preselected home types on lots they have picked and purchased themselves. 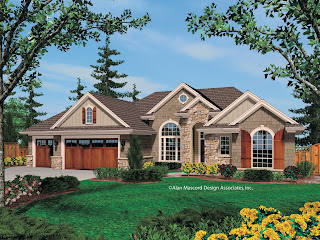 Copper Creek Homes tends to build on land owned by the customer and start fresh with each design. We allow minor changes during construction such as larger windows or even movement of interior walls to obtain the best views. Production builders typically construct a large number of homes throughout the year; these may offer a variety of options, but production builders generally do not use construction plans other than the ones selected by the building firm. 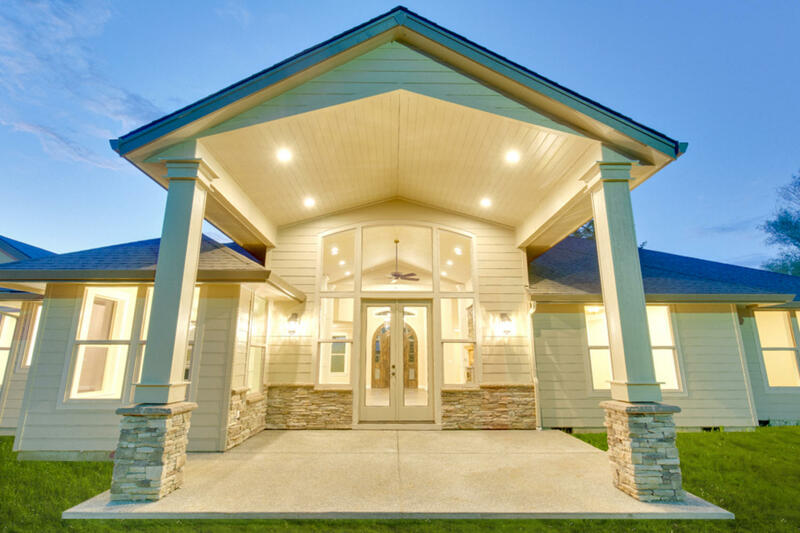 Custom builders spend more time on each project and often work on fewer than 15 homes a year. This 2016 Copper Creek Homes will build approximately 15 New Homes from 1 level ADA homes to daylight basement homes on the Orchard Hills Golf Course, a few 2 story custom homes and even a 7600 Multi-Generational Home in Hockinson WA on 5 Acres starting late Spring 2016. If you’re just entering this market, or have yet to do so because you think you don’t have the know-how, fear not – you don’t need to be a technology specialist. Get a feel for what you could use in your new Copper Creek Home. High-tech appliances like refrigerators with internal cameras that allow the owner to remotely check its contents, and an automated compressor that adjusts its speed according to how much food is inside. Smart TVs – not simply those that run apps like Netflix and Hulu, but rather, TVs that are integrated to create a smart-home hub through which many, if not all of the home’s smart features can be controlled. Once you know what your needs are , but don’t feel confident enough to make the purchase and install these features contact an expert like Global Security. It’s okay to admit you don’t have all the technology answers as you begin to build your custom home with Copper Creek Homes. “Having a smart-home technology expert that you can rely on and consult with on your new Copper Creek Home will help you choose the necessary smart home and security features. Before you get past framing in your new Copper Creek Home it’s important to plan for your smart home. Custom smart-home technology is best integrated when planned for well in advance. Pre-wiring a new home can save the client thousands down the road. 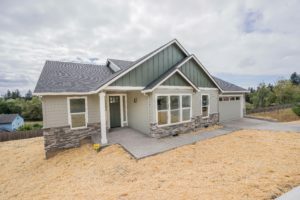 When you build a home with Copper Creek Homes we will meet with you once framing is completed and before we sheetrock to discuss what smart home features you want and where exactly you want everything. Partnering with Global Security Copper Creek Homes wants to discover which pieces of technology each of our clients want and how they want to use them in their home. From there, go through the floor plan room by room and ask how you might want to use the technology in each space. Currently Copper Creek Homes offers the below features as standard and at no cost to our clients.